In looking over data that I've tracked over the last 22 years, it appears that a simple soft tissue accident case should be resolved in 7-9 months. A workers compensation case has had an average of 485 days. A medical malpractice case has averaged 2 years. More complicated cases can take longer. Many cases take shorter depending on insurance issues. Of course, all cases are different and this should be a yardstick and a guesstimate, not a hard and fast rule. 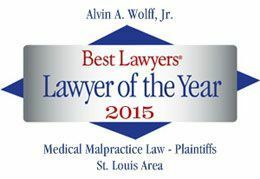 At Alvin Wolff Jr. and Associates, we give all cases attention on at least a monthly basis so that your case is always moving toward conclusion.